How do you grow your business and build your network through Twitter? Build attraction. Focus on relationship building and deliver real value. Create valuable tweets. Your tweets should contain one or more of these four elements: Entertain, Educate, Enhance, and Engage. Entertainment is subjective. If your tweets need to be explained like jokes than the message will be lost. Think bigger audience. Share videos, such as music, comedy from professionals, and emotional stories that will touch people’s hearts, messages that make us think. Children and pets are huge hits, if they are in alignment with your Twitter strategy. Educate people. 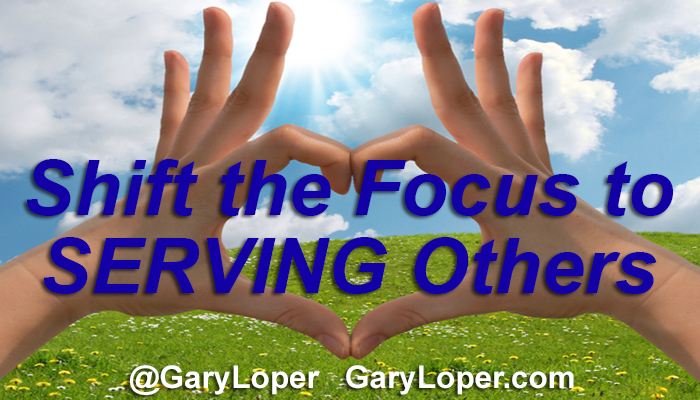 Shift the focus to serving others. Post tweets that educate people in areas that will improve their lives. That doesn’t necessarily mean you should send them an article about how great your service or product is. This is not a selling opportunity, but rather an education to help individuals with something else. It can be a third party blog or article that validates what you are doing. There will be plenty of opportunities to share your products and services after you have established trust and rapport with your Twitter community. Enhance their lives. Share tweets that enhance their lives that has absolutely nothing to do with buying something from you. Tweet something that will make an impact, one that makes a positive change in someone’s life. Motivational and inspirational quotes are one of the most frequently ‘Retweeted’ tweets simply because so many people are looking for inspiration. 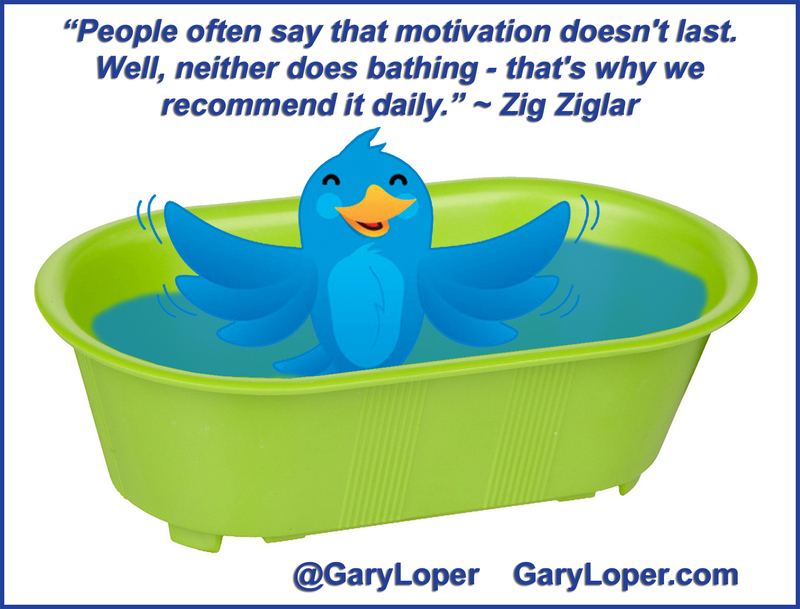 One of my favorite quotes from Zig Ziglar: “People often say that motivation doesn’t last. Well, neither does bathing, that’s why we recommend it daily”. Engage with people. To create engagement first you have to engage with other people. Comment on their posts and answer their questions, and then when you start building a rapport you will earn the right to ask people your own questions. People are watching you and how you are responding, so give first. In any relationship we end up receiving more when we give first than sitting back and waiting for somebody else to come and give to us first. Having those four elements will be a strong magnet that will turn on the follower magnet and allow people to come to you. Embrace the 4E’s and people will be attracted to you, and want to follow your account. Also, you can automate some of your messages to create a presence. When I automated one of my client’s tweets, it saved them about 20 – 30 hours a month from having to post those messages. They were able to take that time back, and focus on engagement and develop connections. And from that they were able to create and attract new clients. There can be a workable balance between automation and live tweeting, making it very effective for people to grow their business. When tweeting, remember the 4E’s. People that broadcast only about their specials, and what they are doing is ineffective. It’s all about people to people. People want to connect with the person. It is not the Yellow Pages’ AD or the Sunday newspaper. We all are bombarded with so much information and so many offers that is important to take the time and apply those 4E’s. Look to construct your tweets the way that the reader is going to see them. Interested in getting more followers? Our Twitter Account Management program: Tweet 4 U may be beneficial to you. Our maintenance program consists of posting on your behalf: 40 messages a day on Twitter. Importantly, we will post for you on your behalf; however, we cannot speak for you. It will be necessary for you to respond to questions, and monitor your account for those people wishing to have a conversation with you. 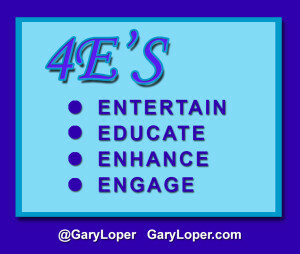 Remember the 4E’s are vital to growing your business and building your network through Twitter! Check out our program, and all the other monthly services! We also offer a service: 500 new Targeted Followers per month. We can guarantee those numbers as long as you are tweeting, posting a minimum 15-20 posts per day.